Click here for details on what I wore. 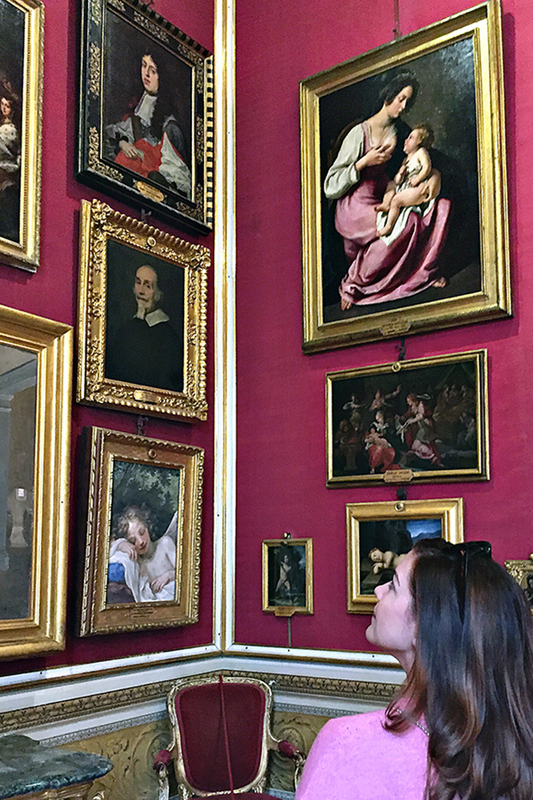 If I had to pick my favorite museum in Florence, it would be the Palazzo Pitti. Not only is it a grand Renaissance palace, it is often overlooked by tourist, which means it doesn’t have long lines and is rarely crowded. The Palazzo Pitti is almost always overshadowed by its more famous counterparts - the Uffizi, Accademia (where the David is located), and the Palazzo Vecchio. But this isn’t because it’s less significant! I am not really sure why it doesn’t receive the same recognition, since the museum boasts works by Artemisia Gentileschi, Botticelli, Caravaggio, Raphael (some of my all-time favorite Raphael portraits), and Titian. 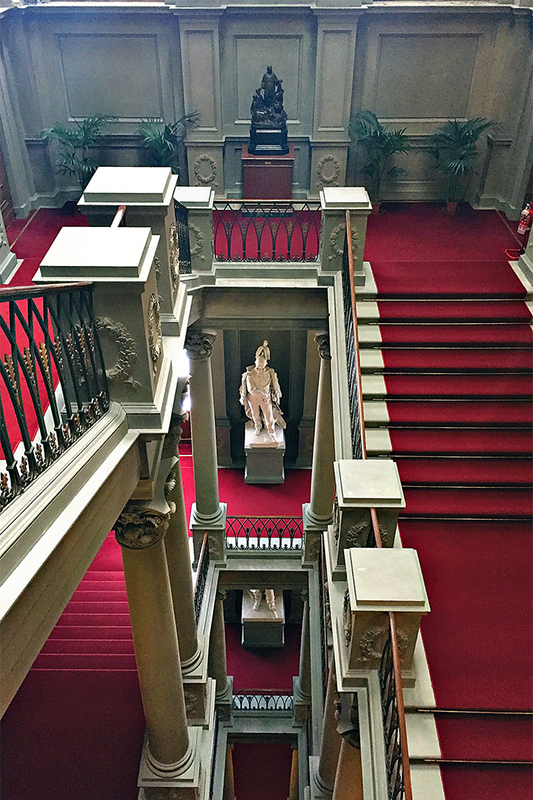 On top of its impressive collection of art, the building was the royal residence of the Medici Grand Dukes, their successors the Lorrianes, and even Napoleon stayed there for a bit. 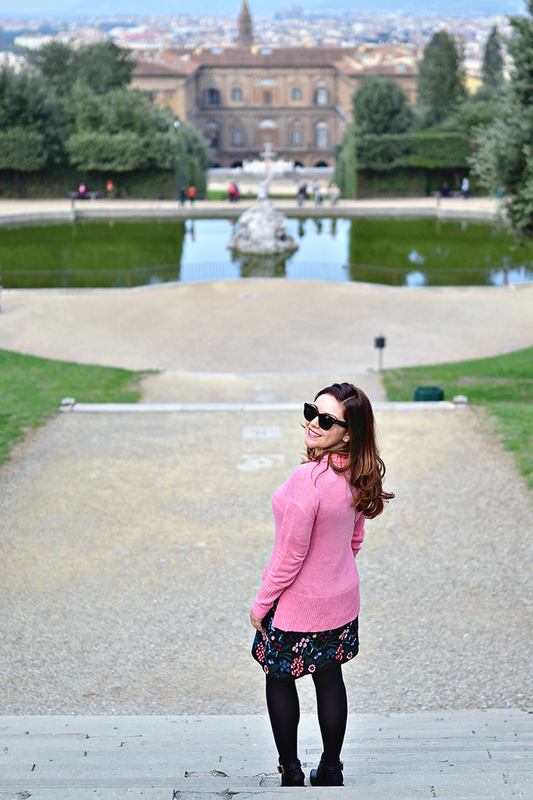 Fun historical tidbit, the size and grandeur of the Palazzo Pitti and its formal gardens were one of the inspirations for Versailles. 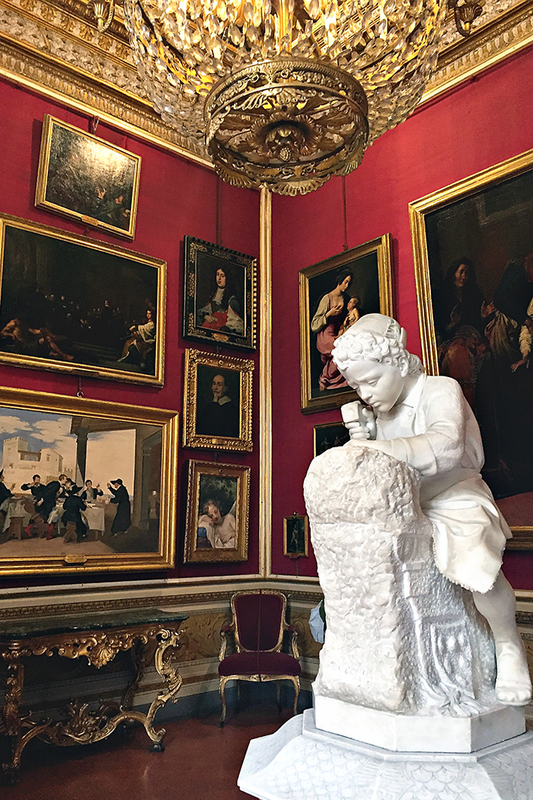 Today the Palazzo Pitti is actually 6 museums plus the gorgeous (and massive) Boboli Gardens -- a modern art museum, a silver museum (and other precious objects), a porcelain museum, a historical costume museum, and a carriage museum. 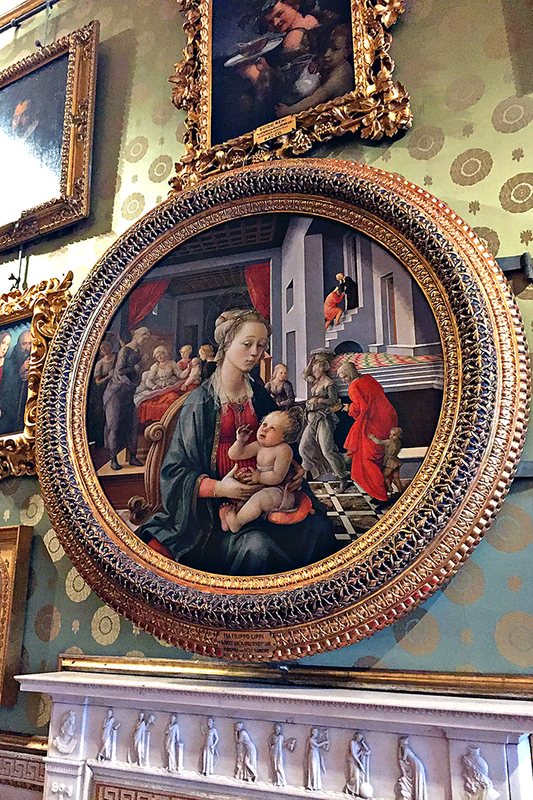 But the main collection of Renaissance and Baroque art, as well as the royal apartments, are in the Palatine Gallery (the largest of the Pitti’s museums). Clearly, I enjoy this museum. So when my friend Anna mentioned that she had never been, I jumped at the chance to spend the day showing her around (it’s important to know that she’s lived in Florence for fourteen years!). We started our day with cappuccini and fresh orange juice in the square in front of the palazzo. Fueled up and ready to go we conquered each of the museums, one by one. Even if you aren’t interested in silver or carriages, it’s fun to visit all of them and see the entirety of the building. I love walking through the very rooms that the princess I study once lived in. After a marathon of art and architecture, we headed out into the gardens to enjoy what was a perfect fall day. But no day across the river in Florence (in the area called the Oltrano) is complete without dinner (and a bottle of red wine) at one of the delicious restaurants in Piazza Santo Spirito. It is hard to find a bad meal in this square, but we really like Trattoria Borgo Antico and Osteria Santo Spirito. 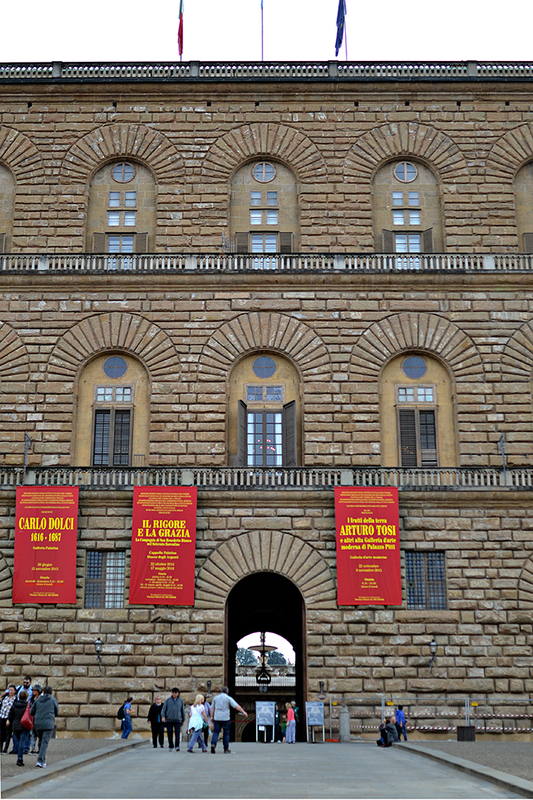 Have you visited the Palazzo Pitti?